Brisbane attracted just over 1.1 million international visitors last year. With four of the new Qantas 787-900 Dreamliner fleet flying out of Brisbane from mid-2018 and the Gold Coast (one hour south of Brisbane) hosting the 2018 Commonwealth Games in April, it’s likely international visitors to the river city will skyrocket next year. Those Brisbane bound tourists will bring with them varying demands, including the desire for destination experiences. Living in Brisvegas for 90% of my life, I’ve acquired some insider knowledgeable about my city. I can recommend a few Brisbane destination experiences for the adventure seeking traveller, without having to travel far. What is a destination experience? A destination experience is one travellers want to tell their friends and family about. They’re activities that create a feeling of connection with a place – beyond the traditional sight-seeing encounters. It’s also an emerging market for tourism operators. 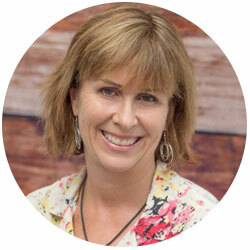 Savvy travellers will write about destination experiences on social media. And if they happen to meet someone travelling to that same destination, they’ll share their destination experience, for them to recreate a similar connection. While all destination experiences may not be positive experiences (as I found out on the ski slopes of Nozawa, Japan) for the most, they are memorable. When it comes to unique experiences travellers want to tell their friends, Brisbane delivers. According to Bob East, chairman of Tourism and Events Queensland,“Brisbane is fast developing a reputation for coupling major events with a wider destination experience that appeals to the international visitor.” But don’t just take the words of a Queensland tourism chief who believes Brisbane’s diversity is a drawcard for travellers. Given our agreeable climate and (mostly) enjoyable weather what better way to create unforgettable connections to the river city (destination experiences) than through outdoor adventure? And the best part about these five adventure activities, is they’re all within close proximity of Brisbane’s CBD, negating the need to travel long distances to feel connected to Australia’s hippest city. 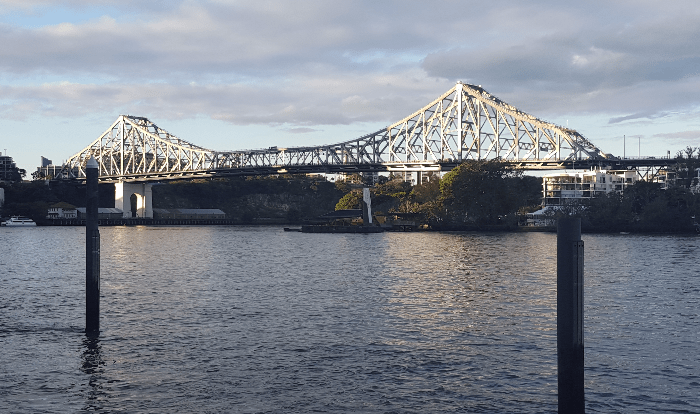 During your time in Brisbane, you may drive or walk across the Story bridge, possibly take a city cat (ferry) along the Brisbane River which passes under the bridge. The bridge with its unusual structural design will most likely feature in many of your photos of the CBD skyline especially at night time when coloured lights illuminate its vastness. But you can talk about the Story bridge with more sparkle if you’ve actually climbed those winged spans. 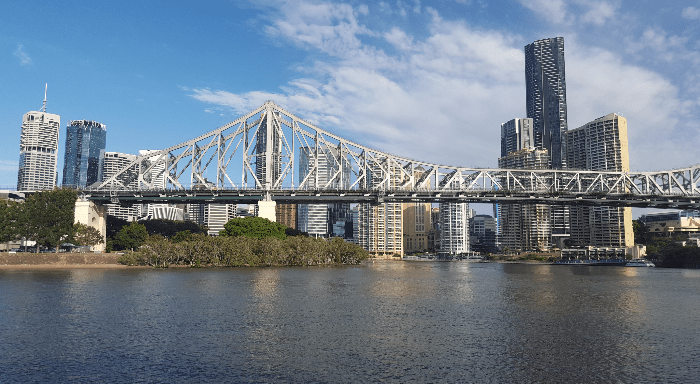 Story Bridge Adventure climb offer a two hour bridge climb which include 360-degree panoramic views of Moreton Bay, the Glass House Mountains, Mt Cootha, Lamington National Park and of course the Brisbane River. Sydney Harbour Bridge climb can’t take all the glory for the city views. Nor can they take the accolade for the most “attractive” safety overalls! The Kangaroo Point cliffs form a dramatic backdrop from the CBD side of Brisbane. These 20-metre cliffs were formed from a volcanic eruption in the Triassic period some 230 million years ago. Throughout the 1800s the area around the cliffs were used as a quarry, where volcanic rock called Brisbane Tuff was extracted. These rocks form the exterior of a few of Brisbane’s heritage listed buildings. The cliffs are now used as a recreation area. The craggy surface is illuminated spectacularly at night time and depending on how close you are to the cliffs, you will see people abseiling up and down ropes attached at various locations. Located in the D’aguilar National Park is the Enoggera Reservoir – Queensland’s first major dam constructed in 1866. At just 10 kilometres northwest of the city centre (20 minutes from Brisbane’s CBD) in the suburb called The Gap, you’ll find the reservoir and Walkabout Creek. This 36,000 hectare park is the place to enjoy the serenity of nature and view some of Australia’s unique native wildlife, while unleashing your inner explorer. 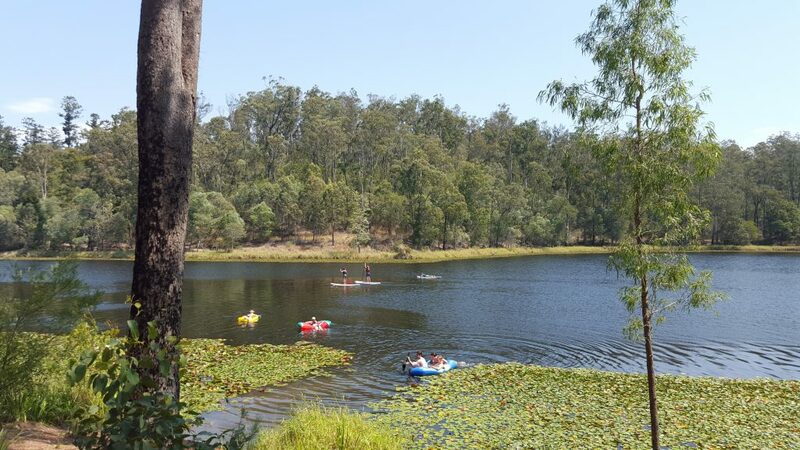 Walkabout Creek Adventures are a pop up leisure and recreation business, providing visitors the opportunity to explore either on the water or through the trails meandering throughout the park. Stand up paddleboards, kayaks (tandem or single), mountain bikes or segways are available to hire to explore the area on your own or with a guided tour. The dam provides a cool escape from the summer heat. But be warned, on the grassed area by the reservoir the tall gum trees provide minimal shade. In the midday sun it gets hot! So be prepared with hats, sunscreen and lots of cold water to drink and you will enjoy this unique oasis on the perimeter of the city. Prove your inner adventurer fears nothing – while falling from the sky. For views of Brisbane from an elevated height, a tandem skydive would be a guaranteed conversation starter around the dinner table. (Show your friends the video if they don’t believe you!) At 4,267 metres (14,000 feet) you’ll have unsurpassed views of Moreton and Stradbroke Islands. Landing on the beach at Redcliffe gives you time to settle the adrenaline and take stock of what you just did. Redcliffe is the bayside town made famous as the place where the Bee Gees (the Gibb brothers) spent part of their youth. 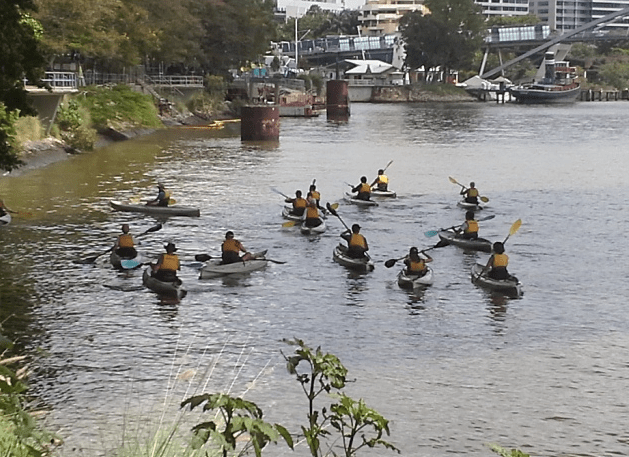 As summer is looming, now is the perfect time to make the most of the pleasant temperatures and enjoy the outdoors in these adventure related activities all within close proximity of Brisbane’s CBD. Brisbane let the adventure unfold. 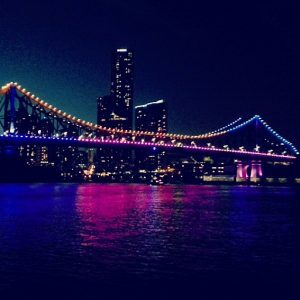 The river city – Brisbane.